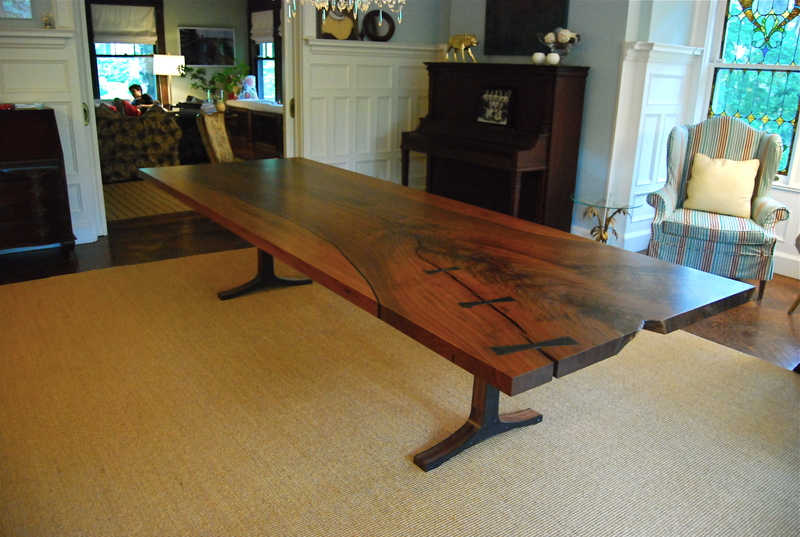 The huge walnut flitch was just too impressive to split down the middle and add width where nature hadn’t. Instead, we decided to add the mass we were looking for to the outside. 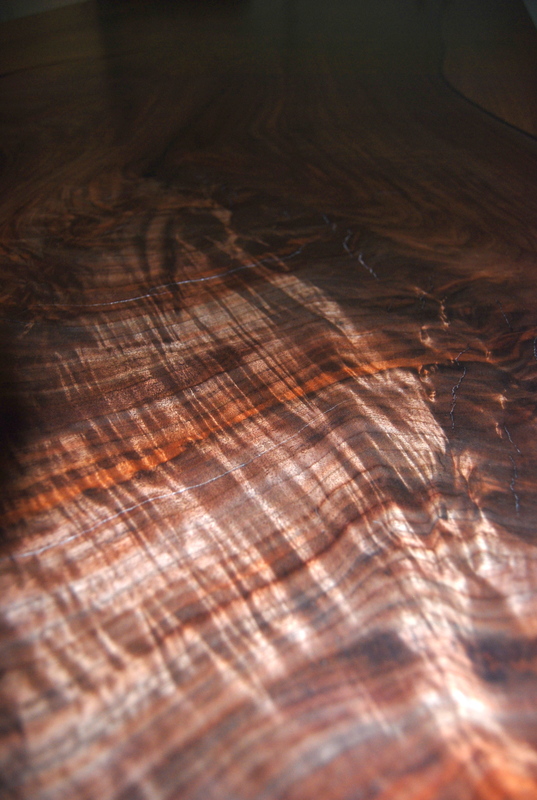 We left the contoured natural edges intact, created a specialized joint to follow the wavy line, and used a resin inlay to highlight the distinction between the added wood and our original live-edge slab. 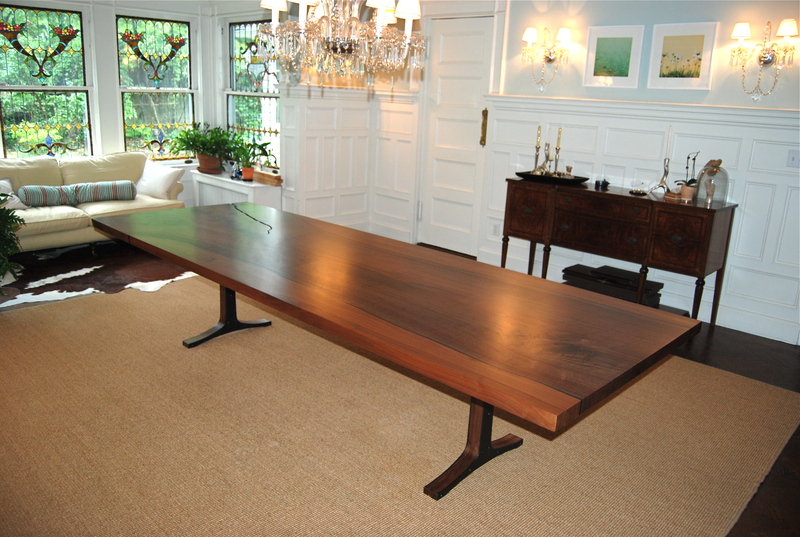 The result is a uniform 10′-10″ x 3′-10″ dining table that showcases the cross section of a single tree within. Leaving the large crack un-filled, while stabilizing it with steel butterfly keys, further highlights the nature of our original workpiece. 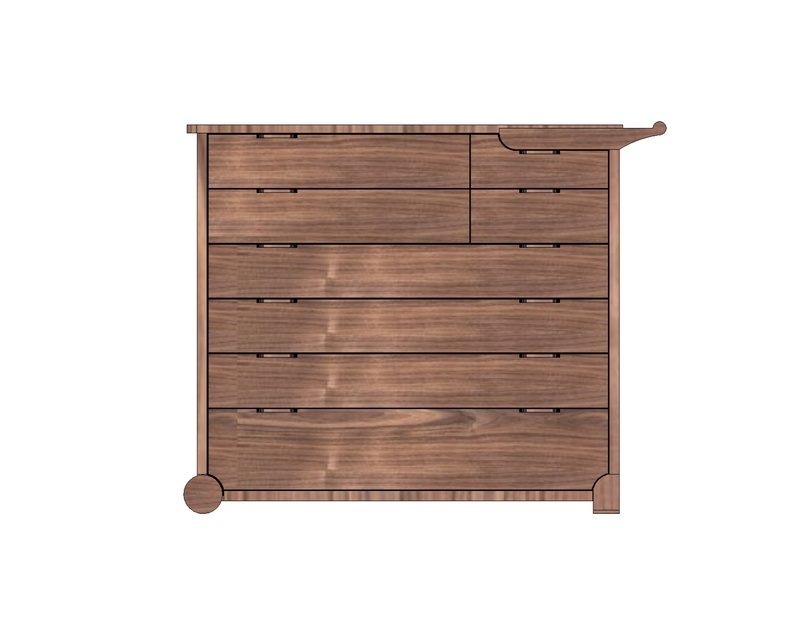 The steel finish of the keys complements the legs whose long, delicate curves are achieved by sandwiching a walnut core between two steel plates of the same profile. Hopefully I get to return and get some additional detail photos of the piece. At the time of delivery, the family was already showing up for dinner. I had to let go and let the table do what it was created to do.